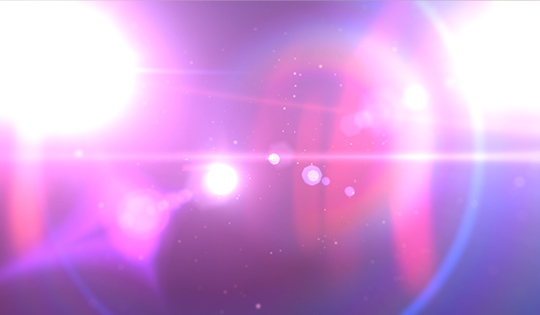 Macula Lutea started as a happy accident – we’ve been working on one of the projects and wrote a small script to control the movement of the lens flare. Due to the calculation error the light source ended up in completely wrong spot, resulting in highly exaggerated flare on the screen. Rather than discard the mistake, we decided to pursue intentionally misusing flares and discovered an entire world of cool abstract imagery that can be created in this style. At the same time we stumbled upon an audio track U Smile (800% Slower) in which composer Nick Pittsinger stretched and slowed down Justin Bieber‘s song U Smile, resulting in amazing half-hour ambient piece. It was also a perfect match for the visuals.